We’ve made it through the holidays once again! Now, what to do for the rest of the winter? Work on achieving hygge. 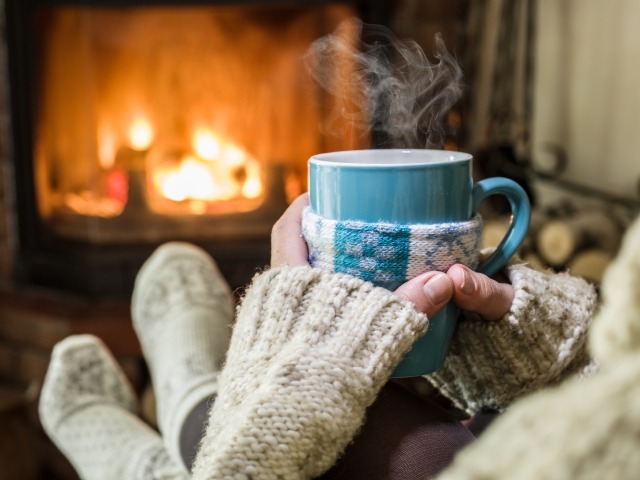 Hygge is a word that you may have seen popping up on blogs, news articles and social media posts the last couple years, especially in the winter months. So, what exactly is it? Pronounced “hoo-ga”, it’s a Danish word that loosely translates to “cozy” but is actually a much more in-depth concept than just that. Scandinavia has long winters without many hours of sunlight, and so the people there have learned ways to bring warmth, coziness and happiness inside their homes year-round. Hygge can mean a lot of things to different people, and each family has unique and preferred ways of creating it inside their home. We picked out our top three ways to achieve hygge over the long, Canadian winter… some with the help of your local Shaw Retail Centre! When being outside isn’t always an option, a fantastic way to help achieve hygge inside the home is to incorporate natural elements into your interior design. One popular and beautiful example is to renovate your indoor fireplace using natural stone veneers. Easy to install, these types of products create a rustic stone veneer surrounding the glowing fireplace. The warm glow of natural or propane fireplaces, along with a collection of big and small candles can really help to create an inviting, relaxing environment inside the home. If you’re lucky enough the have a wood-burning fireplace or wood stove, the crackling of the wood adds even another layer to the calming effect that a fireplace has, helping to warm your home in so many ways over the winter. Stone fireplaces and thin stone veneer help bring together a variety of textures in a room — build on this by having soft rugs on the floor, fuzzy blankets or throws on chairs and couches, and inviting pillows. Create a space where you can imagine curling up with a good book and spending a few hours just enjoying the hygge. Now, bring on the rest of winter!